Discussion in 'News & Announcements' started by ItsAZZA, Jan 22, 2017. Hey guys, I am here to announce a few things! 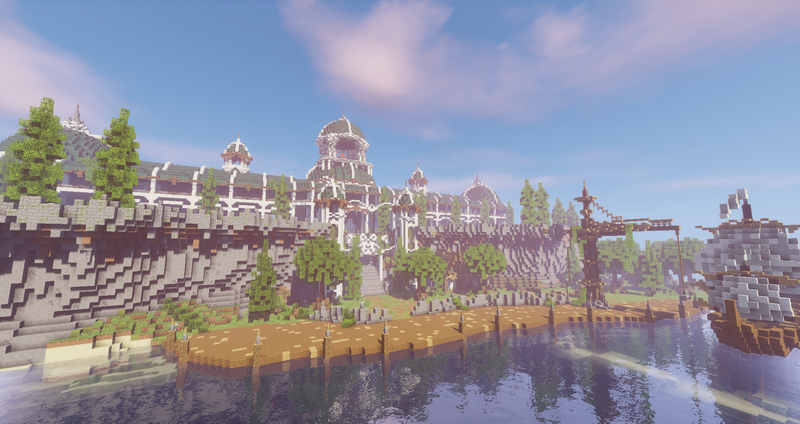 I am here to announce that the Survival server will receive a new spawn really soon! With the new spawn, some of the admin shops are going to change. A new player marketplace will be announced as well. We are going to delete the current marketplace and replace it with this new one. We wanted to announce this beforehand, so you have time to empty your shop before this transformation happens. Please take everything you need from your shop, since these will be deleted after the update, and no backups will be kept. Please also remember to break the Chest Shop signs to get your money back. The price of the shop will be added to your account, so make sure the sign in front of your shop has your name in it, otherwise the refund will go to waste. These refunds will be done just before the new spawn is introduced. No refunds will be made after that date. The Survival new spawn, and marketplace will be released Sunday the 29th of January. You have time until this to do everything mentioned above; empty your shop, make sure it has your name in the sign in front, and make sure to break your shop signs to get your money back. And as always, have an awesome weekend at BuildCraftia! You read that right, Destroy The Core. You are now able to play the Destroy The Core Legacy. This basically means full blown DTC, but without the new kits, unfortunately. The new kits are going to take a bit longer to make and perfect, than we thought. You can use this spare time by enhancing your combat skills as well as collect some Fish for the new kit upgrades. We will announce the new kits as soon as we finish testing and tweaking them. Just use the server menu with /s and select the obsidian block, and have fun! And, as always, have an awesome upcoming week on BuildCraftia! epikplayer, LumenFidei, RazerH and 3 others lick this.